Nick Redfern is one of the most prolofic writers on the paranormal, and yet somehow always manages to introduce a wealth of new information with every book. 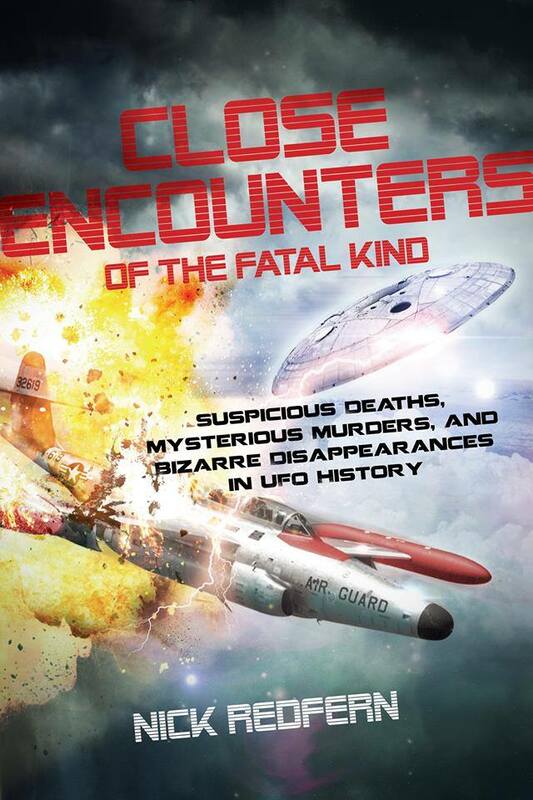 Close Encounters of the Fatal Kind; Suspicious Deaths, Mysterious Murders, and Bizarre Disappearances in UFO History is no exception. Nick collects a variety of stories from UFO history, some which seem to reek of government conspiracy, and some that are hard to explain without some paranormal leanings. You have the case of a man literally melting in Brazil, suspicious deaths around Roswell and Maury Island, people with UFO connections disappearing, human mutilations, and so much more. The book is around 200 pages, an easy read, and just packed full of information and connections, some of which you likely had no idea about. Definitely worth the read if you are interested in UFO's, or government experiments on civilians. Disturbing stuff at times! I have been a fan of Nick Redfern for quite some time now, and in this, his latest book, he does not disappoint. Nick's writing style reminds me of John Keel at times, in the best possible way. He does his research, and when he relays it to the reader, he does so in a fashion that is very engaging. Monster Files, with it's long but appropriate subtitle, is an interesting endeavor. Nick looks at cases where the government has been involved, in one way or another, with monsters. In some cases, the monsters are used as cover, whether it be a 'Yeti Hunter' who may have actually been a spy, or sea serpents meant to scare off the locals from secret research. He investigates strange Bigfoot sightings, and tries to discern if the government knows more than it seems. There are also Big Cats, Wolfmen, Chupacabras, and much, much more. Don't make the mistake of thinking this is just legend telling, Nick uses official documents, newspaper articles, and interviews the witnesses personally where possible. This is not just another book on Cryptozoology, but if you have studied the subject enough, you will find you know at least parts of some of the cases in this book. You may not know what Nick is able to expand on, however. He covers the experiments various governments did on animals, whether testing for ESP, or attempting to equip poor cats with spying devices. He relates the strange connection between Bigfoot and UFO's, and the rather terrifying creatures that have haunted our skies. He talks of our government creating vampires, and it is not at all what you think. Overall, this was a fantastic read. Nick is a phenomenal writer, and his material is always well researched and well written. This, of course, is no exception!